This is a blog about crochet. My favourite material to crochet with is wool. 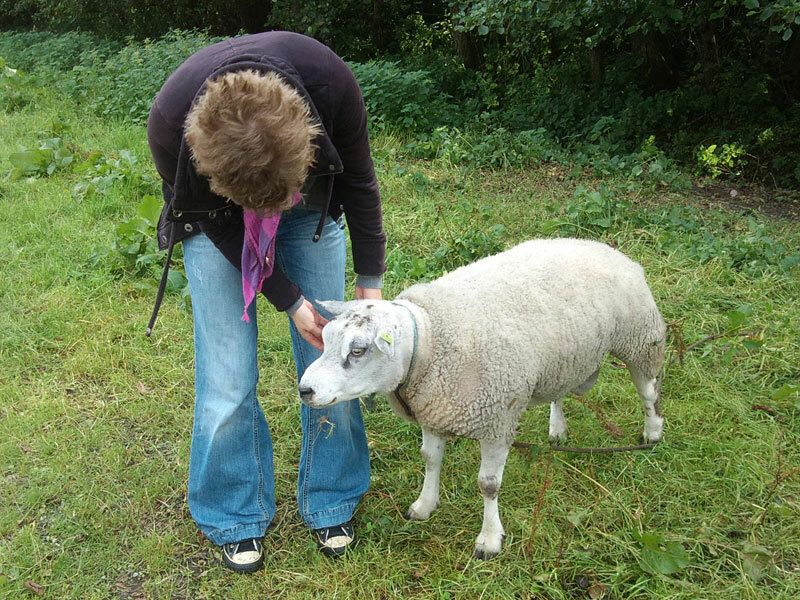 So when I met the sweetest male sheep in the world, I decided to dedicate a post to him. We went to the Dutch island Terschelling this weekend, to hike and go cycling. On our way to one end of the island, we saw a dead sheep. Well, that’s what I thought, because there was one sheep just laying there weird in the grass near a parking space. It made me feel sad how he just seemed to be thrown out there. BUT, on our way back, there he was, standing there, eating some grass. He wasn’t dead at all! So I had to go to him and see if I could cuddle him. He was a big male sheep and he was happy to see me and actually ran towards me when I approached! So utterly cute, usually sheep are very curious but shy. This one wasn’t. He was sweet and put his head against my legs. Somehow this sweet and cuddly sheep made me feel sad in a way. Who could leave a social animal like that sheep, alone next to a parking space? You could see he was lonely. The rest of the weekend we visited him when we past him and cuddled him. We even called him Knor, because he made little noises. He was a very old sheep and when I crochet I’ll always be reminded of him. Have a good life Knor!